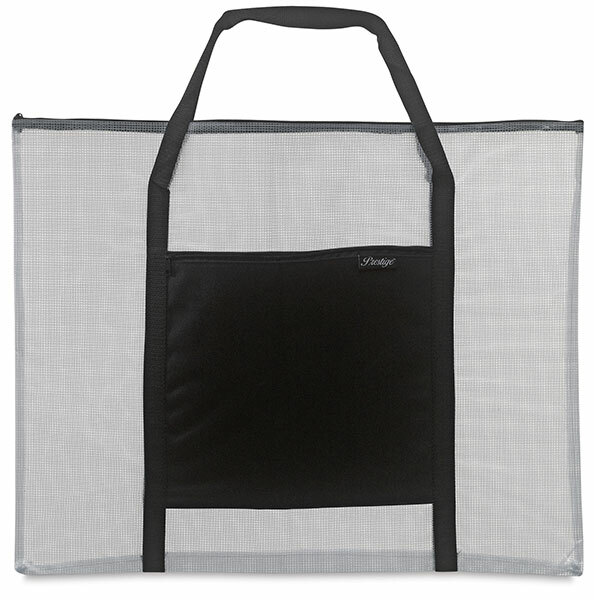 Ideal for drafting kits, drawings, artwork, documents, and much more, Alvin Prestige Deluxe Mesh Bags offer both visibility and protection from the elements. 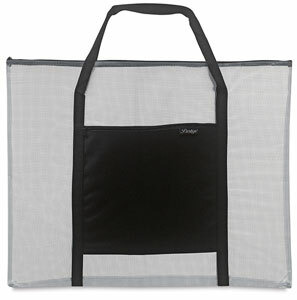 The bags are made of durable see-through vinyl that is reinforced with mesh webbing. They feature a ¾" gusset, a zippered top, nylon carrying handles, and an exterior black nylon zippered pocket that's perfect for holding small items.